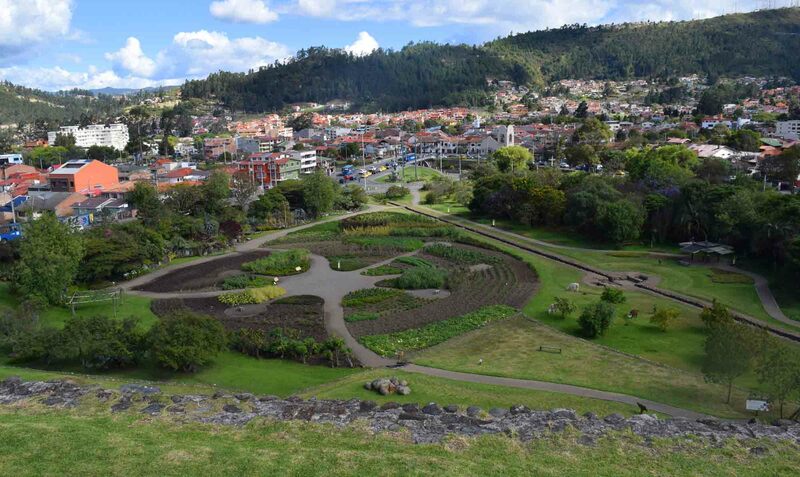 When I arrived in South America last year I flew into Quito Airport, Ecuador. This would (besides the insides of a couple of other airports) be my first taste of the continent. 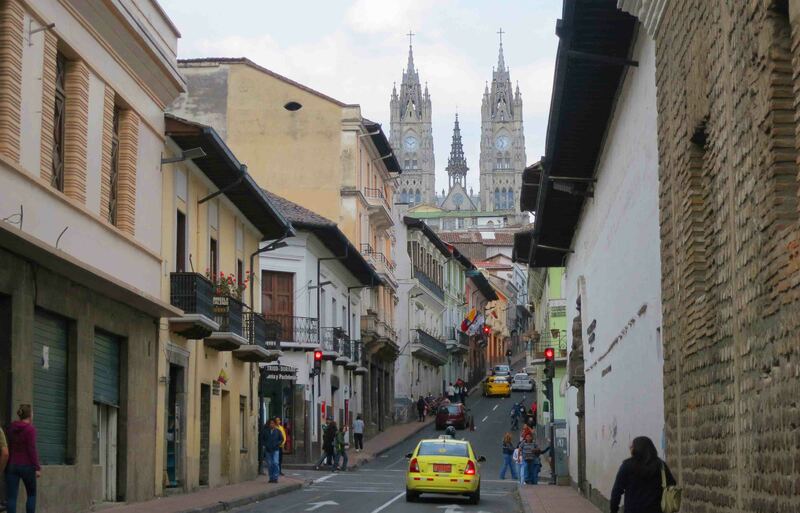 Ecuador was my ‘gateway’ country to South America. Would this prove a good choice? For example, a country like Chile might often be people’s first experience of the continent after flying in, as it is probably the best connected, especially when coming from Australia. But it wasn’t one of the five countries – Ecuador, Peru, Bolivia, Argentina and Brazil – that I was visiting. And I have to say that out of those three, Ecuador was probably the best choice as a jumping off point. Let’s start with the negative – altitude. That wouldnt be a concern in Rio, Buenos Aires or Santiago, but in Quito it’s an issue, being at over 2800 metres. However, on the flip side of that, it’s not roaringly high. 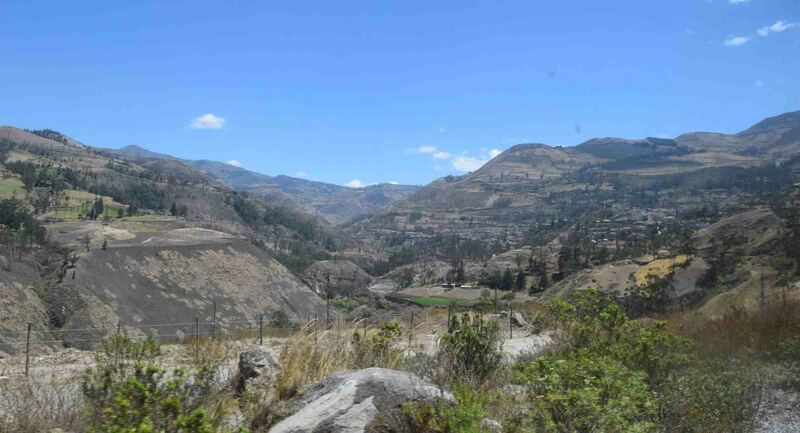 Which makes it an okay place to get used to the altitude, which you’ll need to be if you’re going to higher places in South America – of which there are many!! 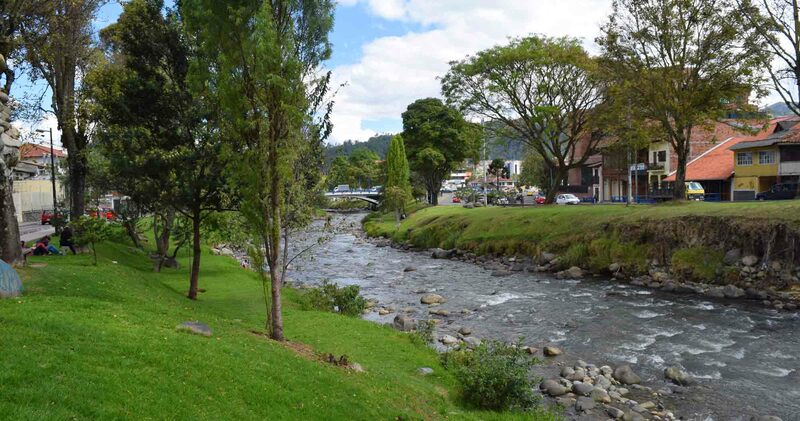 If you’re coming from the States, great news – you don’t need to worry about exchanging money, in Ecuador they use the US Dollar as their currency. It’s also handy for others who cross borders as the US dollar is the easiest currency to exchange in South America, so you can stock up on it and change it in Peru, Bolivia as you need. 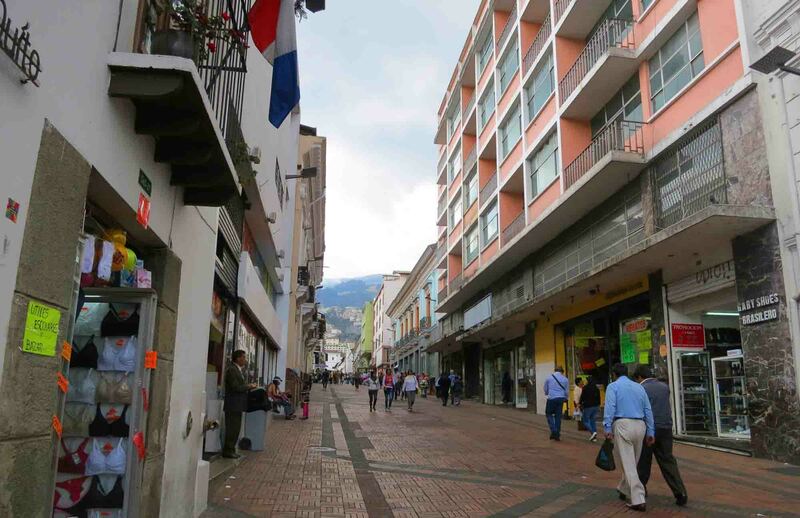 Ecuador is not the safest country in South America, but then again it’s not the least safe either. Keep your wits about you and be sensible and you should be okay most places you go, although I’ve heard Guayaquil is perhaps one place to be extra vigilant. In Quito the Old Town, where you probably will stay and where most of the things to see are in the capital, has police everywhere looking out for those targetting tourists. They are on the streets until I think 10pm or even midnight. So as long as you’re not planning to pull a series of all-nighters, using a bit of common sense you should be safe. I met a couple who had been robbed out of their taxi by a guy on a motorbike on their first night in Lima. Smashed window and made off with their bags on laps. I met a guy who had a gun pulled on him in Buenos Aires in the middle of the day. 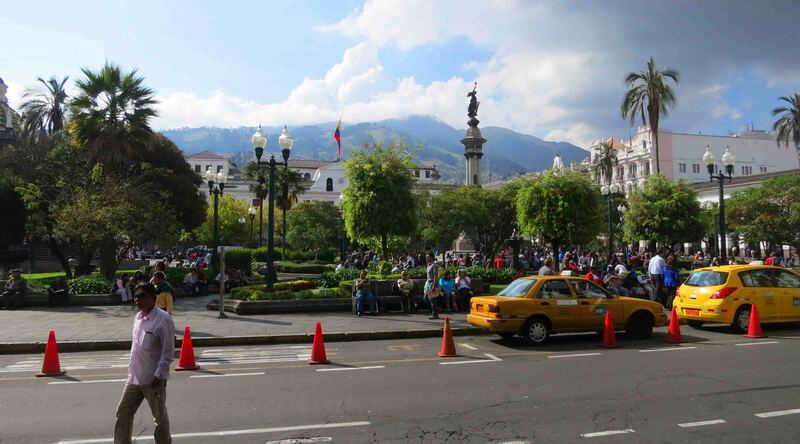 I did hear any bad stories on the road about Quito, however I’d read a few online before I left I must admit! Volcano on Isla Isabella, Galapagos. Ecuador has the amazing Galapagos Islands as part of its territory. For me it was a great way to start my South American adventure. A real highlight of the trip and easy to get around, by tour or even independently. There is a downside though – once you visit them, nothing else is quite as good! For me it worked out perfectly as it was the northernmost country I was visiting. 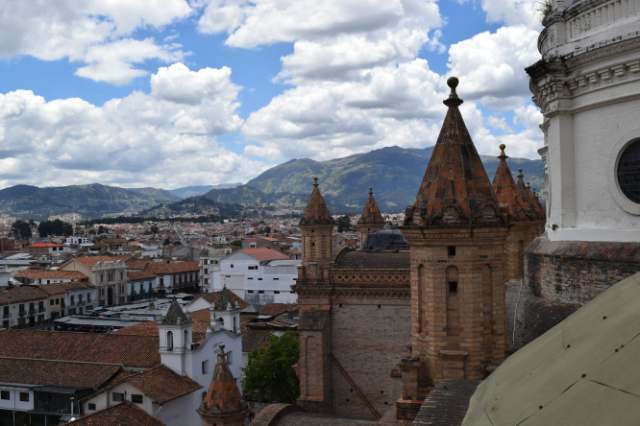 It meant that I could start in Quito, and after a brief sojourn in Galapagos I could head south through Riobamba where I took a ride on the amazing train the Nariz Del Diablo and then to the lovely pleasant city of Cuenca. Cuenca from the ancient citadel. 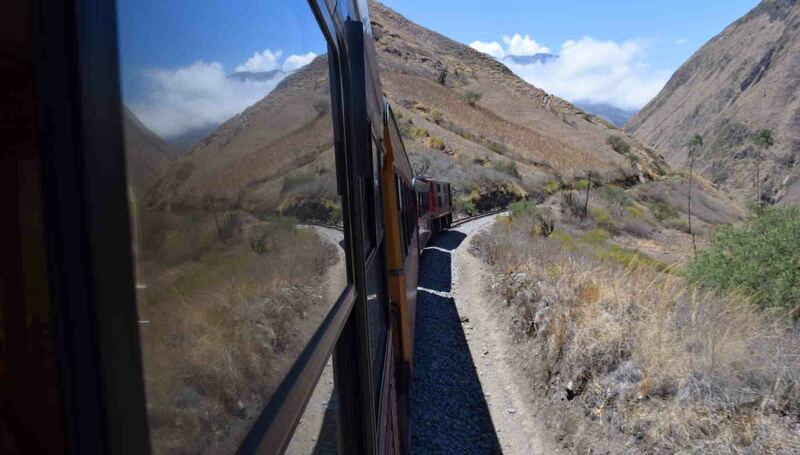 From there south to Peru, continuing in a southerly direction to Bolivia, south again to Argentina and Salta. Then I turned eastward to Buenos Aires, and southwest to Bariloche before flying to Rio via Iguazu. 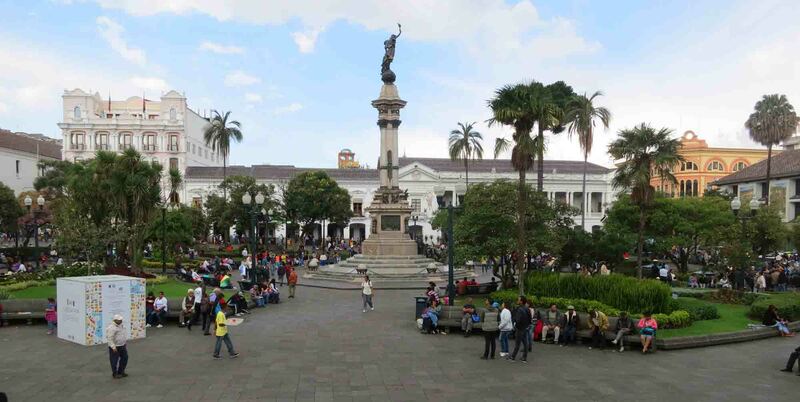 I found people friendly in Ecuador, and with very basic Spanish I was happy to find plenty of people who spoke English. I’d say it was the perfect gateway country to South America in reflection! In Sth America after dark, the big cities can be a bit dicey. thanks for reading! Galapagos is safe though, most smaller places are. Hoping to go to Ecuador in January! I’ll have to go back and see what else you wrote about your visit here. you will LOVE it brilliant country! Thanks for stopping by! We just returned from a 10 day trip to Ecuador and the Galapagos. We had an amazing trip. We will return to check out more of the country. Galapagos is truly one of the most amazing places I’ve ever been! Thanks for commenting!